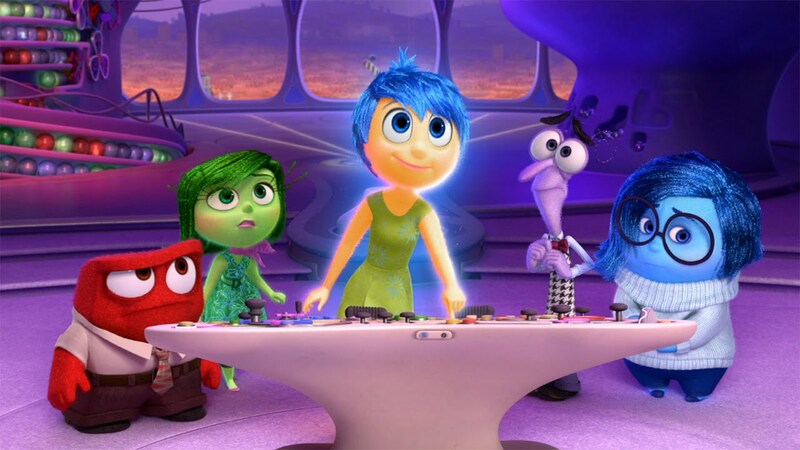 I doubt Inside Out will be remembered as one of Pixar's best. Certainly I didn't see it in the cinema and unlike Wall-E or Up or Finding Dory, I barely saw it discussed on social media or amongst my friends. There was some merchandising about, but the colourful stylised designs of the film translated to some ugly toys. Personally, I took a bit of a dislike to the concept, because it's so unoriginal. The idea of little people inside a person's head controlling them isn't new - for one example, I used to read The Numskulls first in The Beezer and later in The Beano. But I watched this expecting Pixar to take the concept and make it into something really fantastic, and they certainly managed that. For this concept, there are some very beautiful sections of this film. 11-year-old Riley is a happy kid who loves her family and sports, until a move to the city uproots everything. Her inner life goes awry as Joy, hitherto the main driving force of her life, and Sadness, until now only seldom influential in a young life, end up on a quest through the often bizarre inner life of a young girl, finding both adventure and tragedy on the way as a difficult time threatens to change a little girl's personality forever. While it's a staple of manga and a bit of a cliché, self-sacrifice always gets strong emotions from me, and a very fine example features here, a single moment with unlikely characters that significantly raised my impressions of this story. Joy, rather Tinkerbell-like by design and capable of a full range of emotions (who's controlling the controllers?) is a likeable central character, and especially the dream sequences have some funny moments. The small stakes here and lack of epic scope limit the universal appeal, but like Cars and Ratatouille, this is another Pixar film that manages to be strong despite not having such a strong concept, manages to be highly entertaining.